Learn more about the 2018 Ram Chassis Cab models. Each model is available in both 4×2 or 4×4 and has a different maximum capacity for both towing and payload. 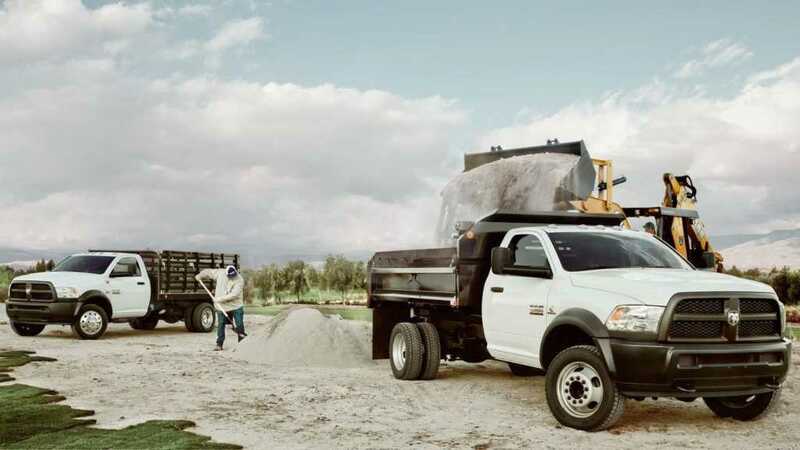 Take a look at each of these Ram Chassis Cab models available at Salerno Duane and see which fits your Commercial Truck or business needs. 2018 Ram Chassis 3500 Tradesman models are built with 5.7L Hemi V8 engine, 17-inch Steel Argent Wheels, Heated Exterior Mirrors with Supplemental Turn Signals, a 52 Gallon Rear Fuel Tank and Anti-Spin Rear Differential Brakes. The 2018 Ram Chassis 4500 Tradesman model is built with 6.7L Cummins Turbo Diesel 320 Horsepower engine, 19-inch Steel Wheels, Clearance Lamps, Folding Railer Tow Mirrors, 52-Gallon Rear Fuel Tank, Anti-Spin Rear Differential, Dana Rear Axle, Dual Rear Wheels, Tow Hooks and Heavy duty engine cooling. The Interior ha a Media Center with AM/FM Radio, CD Player and WMA MP3 Jack. The 2018 Ram Chassis Cab 4500 SLT is built with a 6.7L Cummins Turbo Diesel Engine, Bright Front Bumper, Heated Exterior mirrors with Turn Signals and Courtesy Lamps. The Chassis Cab SLT also has interior features including Cloth Seats, Sirius XM Radio, Leather Wrapped Steering Wheel with Controls and Remote Keyless Entry. The 2018 Ram Chassis Cab 5500 SLT is also built with a 6.7L Cummins Turbo Diesel engine, Heated Exterior mirrors, turn signals and courtesy lamps as well as a remote keyless entry. The interior features cloth seats, Sirius XM Radio, Leather Wrapped Steering Wheel with Audio Controls and Air Conditioning. The most upgraded, Ram Chassis Cab the 5500 Laramie edition is built with the same 6.6L Cummins Turbo Diesel engine, Fog Lamps, Power Chrome Exterior Mirrors with Memory, Power Sliding Rear Window. The interior is also upgraded with a Media Center including AM/FM Radio, CD Player, Uconnect with Voice Command and Bluetooth, Dual Zone Automatic Temperature Control, leather front heated seats and a back seat that folds 60/40. 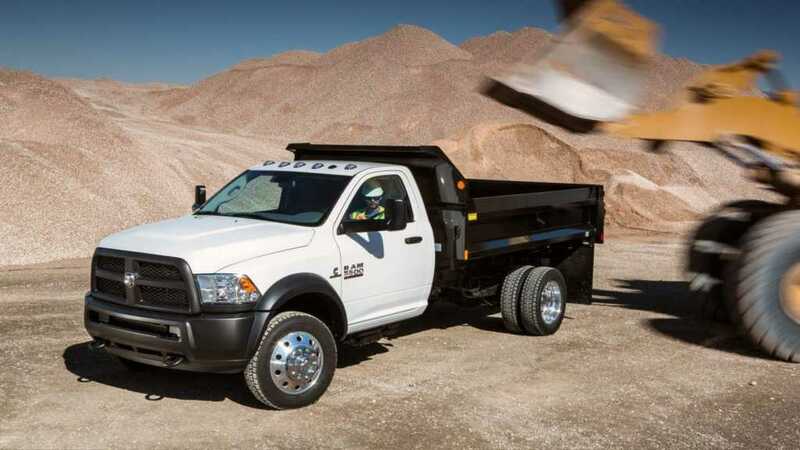 The 2018 Ram Chassis Cab is a great option for a commercial truck owner, it allows a large maximum towing capacity as well as a max payload for the bed of the Truck. If you are interested in the Ram Chassis Cab models view our Salerno Duane Commercial Truck Chassis inventory. Also, visit our dealership in Summit to test drive and see the features each model has to offer.